All eyes will be on the Galmont Hotel today as DNG Maxwell Heaslip & Leonard holds its eagerly awaited March auction. 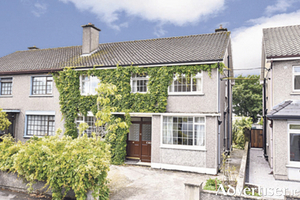 A great mix of properties will go under the hammer, with exceptional value across the board. Registration will be open from 2pm and the auction will commence at 3pm sharp. 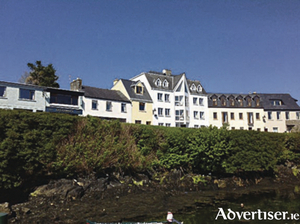 All eyes will be on The Galmont Hotel next Thursday for DNG Maxwell Heaslip & Leonard’s eagerly awaited March 7 auction. The auction team are very excited about next week’s event and are, as usual, expecting a big turnout. The auction sales team at DNG Maxwell Heaslip & Leonard have reported large turnouts at the open viewings over the past two weeks for their upcoming March 7 auction. The highly anticipated auction, which takes place in the Galmont Hotel, is expected to be very well attended with a varied mix of properties going under the hammer. 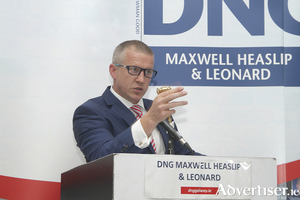 DNG Maxwell Heaslip & Leonard has just launched the first of its 2019 auctions, set to take place on Thursday March 7 in the Galmont Hotel, Lough Atalia. The team at O’Donnellan & Joyce are busy with final enquiries for their list of more than 70 properties for sale in the company’s next Wild Atlantic Way All day auction which will be held tomorrow, July 21. With the end of September fast approaching and a noticeable nip in the air, the auction team at DNG Maxwell Heaslip & Leonard are putting the final touches to the September auction, which will see the Galway city based firm bring more than 20 properties to the market. 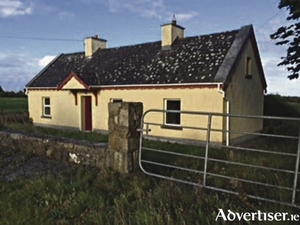 Featuring a wide variety of properties ranging from investment opportunities to family homes, this auction sees DNG taking to the road also and incorporates properties all along the western seaboard in Clare, Mayo, and Donegal. Time flies, as the saying goes, however this summer truly has flown and it is hard to believe that schoolbags are packed, lunch boxes at the ready, and uniforms are ironed and ready to go. 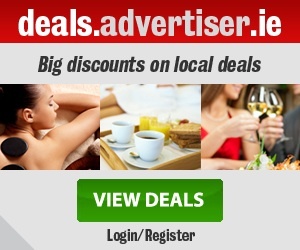 In keeping with these annual rituals, the auction team at DNG Maxwell Heaslip & Leonard have commenced their own ritual and are gearing up for their September auction, which will see the Galway city based firm bring more than 20 properties to the market. Featuring a wide variety of properties ranging from investment opportunities to family homes, this auction sees DNG taking to the road also and incorporates properties all along the western seaboard in Clare, Mayo, and Donegal. The team at O’Donnellan & Joyce are busy with final viewings and enquiries for the last of the summer auctions, with 60 properties for sale in the Wild Atlantic Way Summer All Day Auction tomorrow, July 22. Page generated in 0.0431 seconds.